It doesn't take much imagination to envision it: the spire rising above Dublin's O'Connell Street brings to mind a knight's lance. And in reality there are some "urban knights" in Ireland's capital city. One of their haunts is a 400 m² rooftop in the city centre where enthusiastic research and brainstorming lead to the implementation of innovative "urban gardening" techniques. A farm in the middle of the city? 'If I'm not mistaken,' chuckles the snack stand owner with his barely-intelligible Irish accent when I ask the way to the Urban Farm. The address is correct. I tilt my head back and blink in the glare of the sun. The city farm is well hidden: anyone who wants to have a look for themselves has some stair climbing to do. The rooftop is full of hustle-and-bustle. 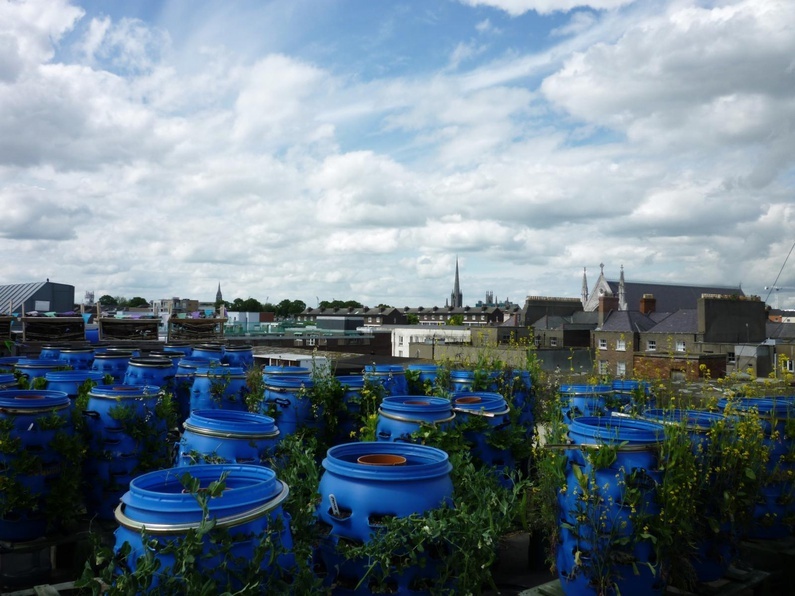 Chickens scratch in the straw alongside young tomato plants, heads of lettuce sprout from blue bins, and herbs wave in the breeze before the Dublin skyline. 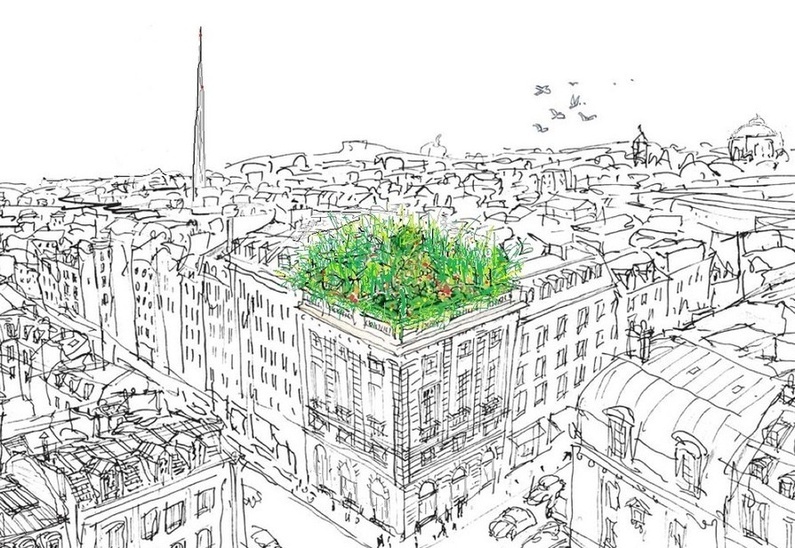 The Urban Farm is the face of a project that is perhaps a bit mad - maybe even utopian - but promising in any case. It all began in a crisis-rocked Ireland with two young Dubliners who did not want to leave in search of work. Andrew Douglas and his business partner, Paddy O’Kearney, had an idea that would do much more than just create jobs for themselves and others - it would do it locally. 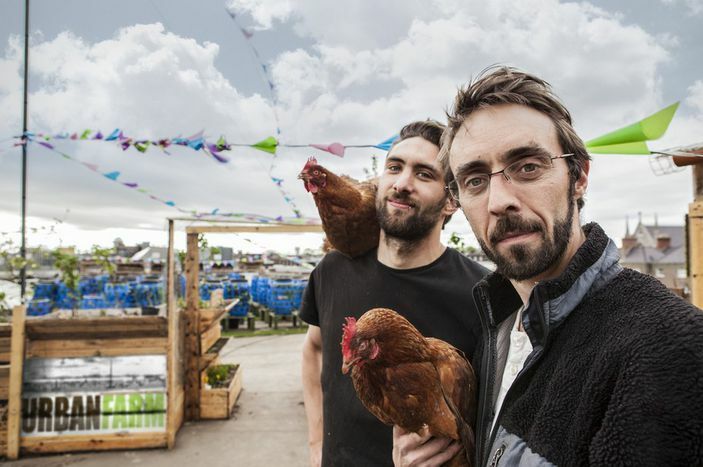 'The idea for the Urban Farm came to me because I felt like gardening in the city!' says Douglas. 'I looked for space in the city, near the city centre, where I could also garden, where I could experiment with different ways to grow food organically and with innovative methods.' In 2012, after a long and difficult search, he had finally found such a location - on the roof of what was once Williams & Woods confectionery. Teresa Dillon, an Irish lady, hasn't yet visited the Urban Farm, but she is aware of it, even from a distance: 'that's a really cool project.' 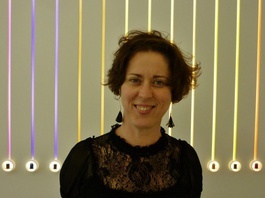 Her own project, the Urban Knights, originated with the exhibition, 'Hack the City', which was held last year in the Dublin Science Gallery and for which she was head curator. With the Urban Knights Teresa offered a networking opportunity for people looking to work together to transform 'negative' spaces for the use of the community. At one of these meetings, Andrew Douglas presented his idea of bringing the market garden back to the capital city. In his battered jeans, colourful trainers and striped t-shirt, with a little dirt under his fingernails, sitting on a roof in Dublin and talking shop about the range of 320 different tomato varieties that had already long since disappeared from European supermarket shelves, Douglas comes much closer to the classic image of the eccentric gardener than he does to that of a crusader. Currently, the 'farm on the rooftop' produces mostly tomatoes, lettuce and herbs. Thanks to the eight hens living off vegetable leftovers in a corner of the rooftop, it also turns out a few eggs. Aside from that, it a produces mushrooms and fish. A composting plant on the roof utilises, among other things, coffee grounds from cafés in downtown Dublin and in turn delivers fresh humus. A breath of country air in the middle of Dublin? There's nowhere better than on the Urban Farm's 400 m² roof. However, behind the two to three thousand plants thriving here lies plenty of work to be done, reminds Keira, who is busy at the moment capturing an absconding hen. A couple of months ago the 24-year-old quit her well-paying job as a computer scientist and began helping out with the Urban Farm. 'People are curious to discover what goes on here and come from all over to help out or to get involved with the Urban Farm as volunteers,' says Douglas. Many would like to know how an old rain barrel gets converted into a horizontal lettuce patch, so the Urban Farm organises workshops on subjects like sustainable food production and carpentry. Douglas often finds inspiration for both large and small urban gardening aides online, all of which he makes himself from recycled rubbish. 'Copy & Paste Farm' would be a more appropriate name,' he grins. The Urban Farm would definitely not be the same without the internet. To be sure, market gardening and modern technologies have a lot more to do with one another than one might think; that may or may not be down to the Dublin IT-bubble atmosphere. A clear example of this is the Aquaponics at work on the Urban Farm's rooftop, of which Douglas is especially proud. It encapsulates a closed circuit in which the Tilapia fish plays the leading role. In a nutshell: the tank water, which is enriched with Tilapia droppings, is a great organic fertiliser for the cherry tomatoes, lettuces and herbs that grow on the farm roof. If anything worries Douglas, it is above all the weather conditions: 'we try to hope for the best of the Irish weather. It simply rains much too much here.' But the summers, unusually hot for Dublin, bring those utopian goals into the realm of possibility. Recently, another restaurant registered interest in the farm's potatoes. In any case, Douglas will continue to garden and brainstorm until it is possible to get organic fish and chips from rooves all over Ireland's capital city. 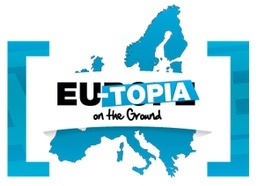 This article is part of ‘EUtopia on the Ground’, a series of monthly special reports that will investigate Europe's future. This cafebabel.com project is funded with support from the European Commission via the French Ministry of Foreign Affairs, the Hippocrène Foundation and the Charles Léopold Mayer Foundation for the Progress of Humankind.